Season of drama attracts an all-star cast! Casting has been announced for Sky Living’s upcoming ‘Drama Matters’ season of five hour-long drama pilots. Suranne Jones, Anna Friel, Russell Tovey, Sophie Rundle and Freema Agyeman and are amongst the names announced, alongside the final two titles which now complete the season’s line up – these are ‘Lawless’ by Jacquetta May (Torchwood, No Angels) from Twenty Twenty (a Shed Media Group company) and ‘The Psychopath Next Door’ by Julie Rutterford (Shameless, Ashes to Ashes, Trollied), from ITV Studios. From the cells in the basement to the judge’s chambers, Lawless offers a backstage pass into the inner workings of a modern court as Suranne Jones (Scott & Bailey, A Touch of Cloth) stars as a brand new judge battling to keep her head above the water in the murky depths of the justice system. This character led tale of corruption also stars Jonathan Cake (Desperate Housewives, The Killing), Chris Coghill (Eastenders, Spike Island) and Lindsay Duncan (Rome, Doctor Who). Anna Friel (Public Enemies, Pushing Daisies) takes the lead role in the creepy and intriguing drama, The Psychopath Next Door. Forget what you think you know about your neighbours, this is a funny but tense tale of what happens when real evil moves in next door. Joining Katherine Kelly and Anne Reid in The Last Witch by BAFTA winning writer Sally Wainwright (Last Tango In Halifax, Scott & Bailey) are Gregg Chillin (Da Vinci’s Demons,Being Human), James Thornton (Emmerdale) and Maimie McCoy (Loving Miss Hatto, The Musketeers). This epic and eerie supernatural tale follows the lives of two feuding sisters who, having spent centuries apart are reunited with vengeful and deadly consequences. Sophie Rundle (The Bletchley Circle, Peaky Blinders) takes the lead in ‘Talking to The Dead’, a two part adaptation by Golden Globe Award nominee Gwyneth Hughes’ (The Girl, Five Days, The Mystery of Edwin Drood) of Harry Bingham’s original novel. DC Fiona Griffiths is a young rookie cop with a brilliant mind, a mysterious past and a deep empathy with the dead. But will the secrets in her past prove more deadly than the crimes she investigates? 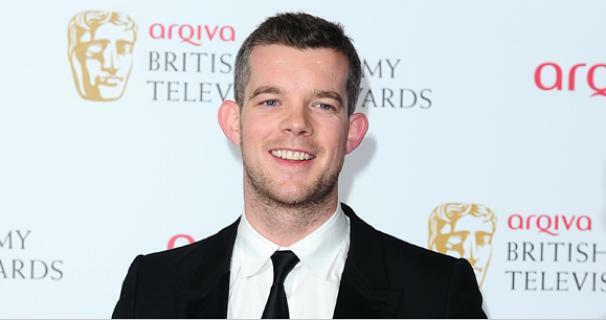 Russell Tovey (Him & Her, Being Human), Mark Lewis Jones (Stella, Titanic), Christine Tremarco (Casualty, Waterloo Road), Lois Winstone and Keith Allen also star. ‘Rubenesque’ is an unashamedly cheeky tale of a female football referee whose life takes an interesting turn when, despite a lack enthusiasm for anything other than sport, she finds herself working as plus-size model. Written and directed by Annie Griffin (Fresh Meat, The Book Group), it stars newcomer and Scottish female international goalkeeper Gemma Fay in the lead role of Shona. Freema Agyeman (Doctor Who, Law & Order) co-stars alongside Daniela Nardini (This Life, The Fades) and Gabriel Quigley (Him & Her).